How do you get rid of a 47 ton dock? In March 2011, a terrible tsunami washed away a shipping dock from Japan’s coast. 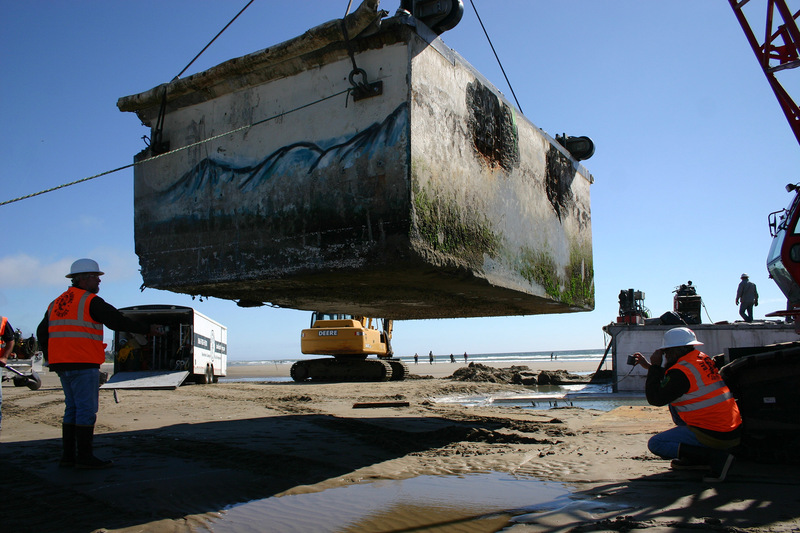 It took about 15 months for the floating dock to travel across the vast Pacific Ocean and wash up on an Oregon beach in June 2012. After workers and volunteers from the Oregon Parks and Recreation Department scrambled to remove the invasive plants and animals that they could find on the dock, they had to figure out how to dispose of the dock. This presented a challenging problem! The large amount of styrofoam in the dock, needed to keep it afloat, made demolishing it a problem, since I imagine that pieces can easily fly around and float away as the dock is being dismantled. This means taking it apart was expected to be more expensive and time consuming. The department decided to award the removal contract to Ballard Diving and Salvage with a plan to dismantle the dock on shore and remove it in pieces by land. This helps keep the debris and any remaining creatures on the dock from washing away in the water. The company cut the dock into sections with a wire saw and used a crane to lift the dock sections onto trucks. The trucks took the sections to Portland for final dismantling and recycling. Were invasive species still hiding on the dismantled dock? Although the Oregon Fish and Wildlife Department removed and buried a lot of plants and animals from the dock (more than two tons! ), they couldn’t be sure that they removed everything, such as algae and smaller animals that might be hiding inside portions of the dock. 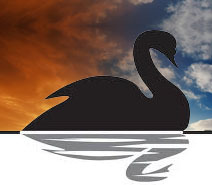 Invasive species can cause millions of dollars in economic and ecological damage, so the department wanted to handle the dock and the invasive plants and animals with extreme care. They didn’t want to try to reuse the dock because of the same concerns that they have about moving it through the water. So, they dismantled it, and they said that they would save part of it too for a museum. …but thankfully, they were no longer alive. What happens if more debris wash up on shore? 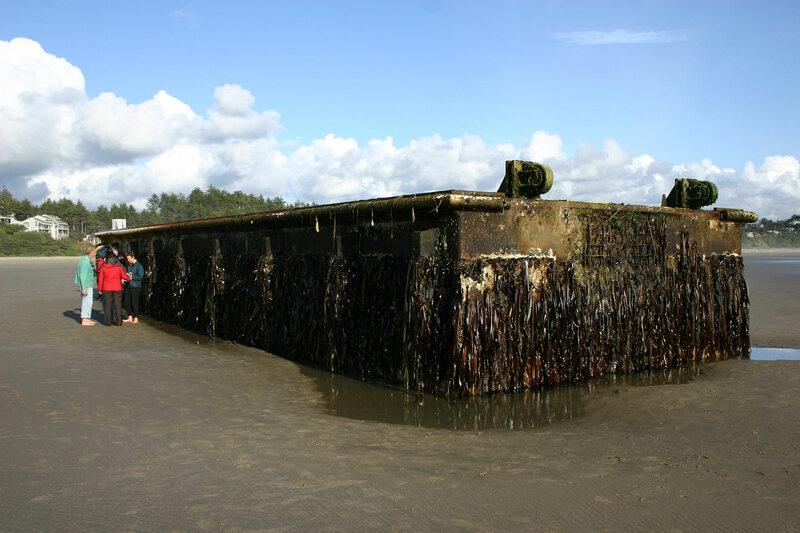 In the early morning of June 5, 2012, a ship dock the size of railroad boxcar washed up on Agate Beach in Oregon. This dock traveled over 5000 miles from Japan, torn away from its moorings by the terrible 2011 tsunami. 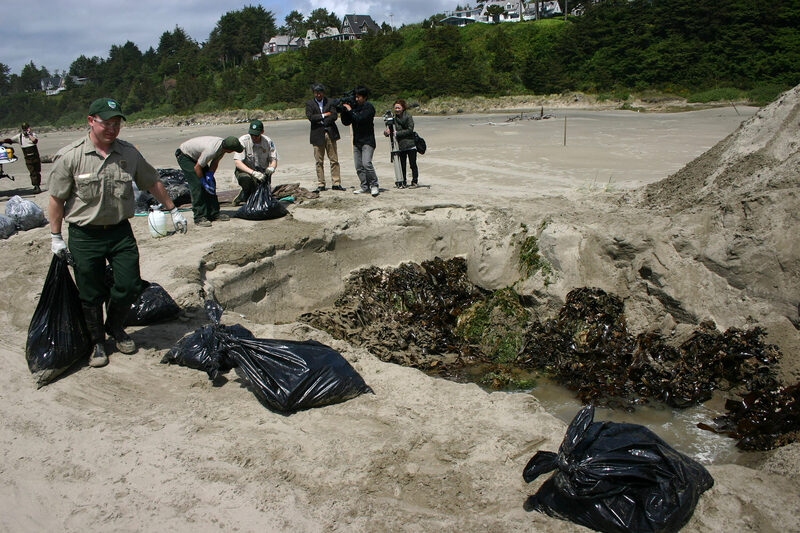 This large, floating debris carried about 1.5 tons of plants and animals far across the Pacific Ocean from Japan to our shores. At first I was amazed that the dock could travel across the vast ocean carrying so much life, but then I realized that this could potentially be a grievous occurrence. The plant and wildlife species on the dock are not native to Oregon or the West Coast of the United States, and as invasive species, they have the potential to cause great ecological and economic harm. The Invasive species ride tsunami debris to US shore article goes into more detail about the dock that washed ashore and the danger that invasive species pose to our native ecosystems. The article gives an example in San Francisco Bay of how Chinese Mitten Crabs (Eriocheir sinensis) attack Dungeness Crabs (Metacarcinus magister), harming both our native species and our shellfish industry. The dock also brought the invasive seaweed, Wakame (Undaria pinnatifida), which the Global Invasive Species database lists as one of the world’s 100 worst invasive species. Although this native Japanese species can be eaten, it forms dense underwater monocultures, choking out native plant and animal species. 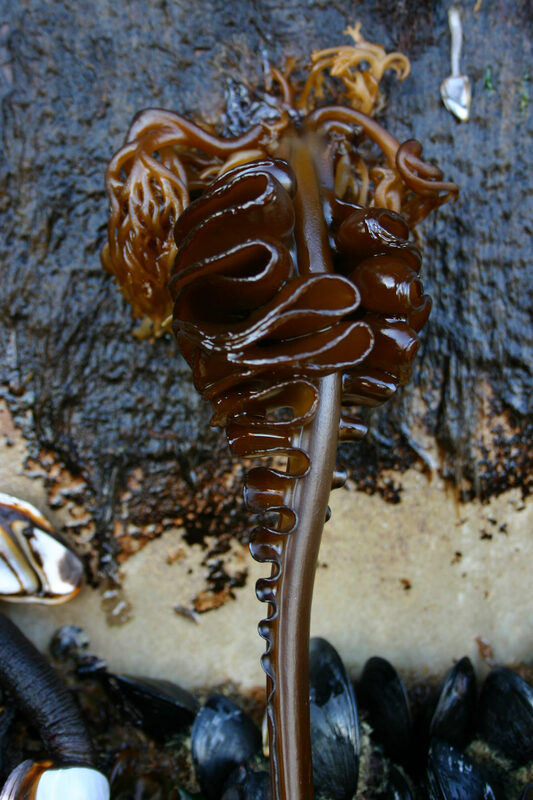 Some of the invasive species are already found on the West Coast were brought here by ship traffic, both from their hulls and from ballast water that the ships may have emptied before docking. As a side note, to combat invasive species in the freshwater Great Lakes, such as Zebra Mussels that are also threatening Texas lakes, the Great Lakes Invaders Face Salty Rebuff article from the Wall Street Journal talks about how ships have to flush their ballast tanks with salty seawater to kill off any freshwater invasive species from other ports. 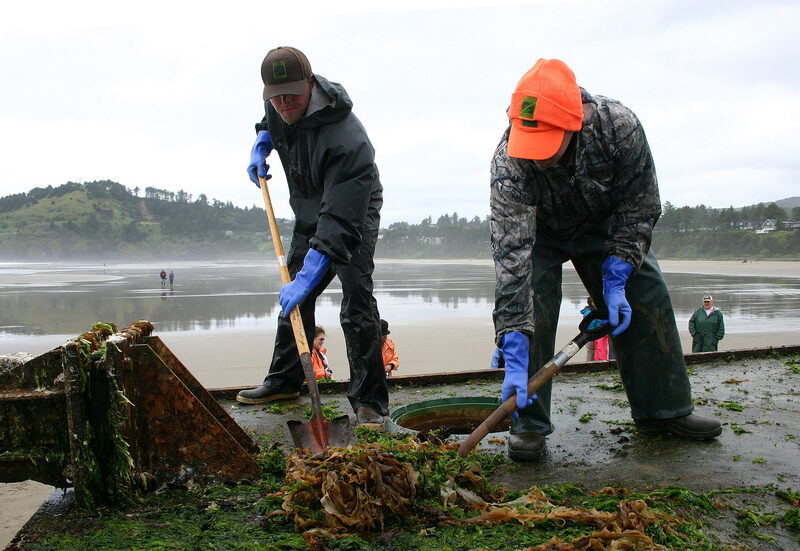 To prevent the spread of invasives, Oregon Department of Fish and Wildlife staff and volunteers scraped off the living organisms that were attached to the dock and buried them away from high tide. Without salt water, the plants and animals will perish. 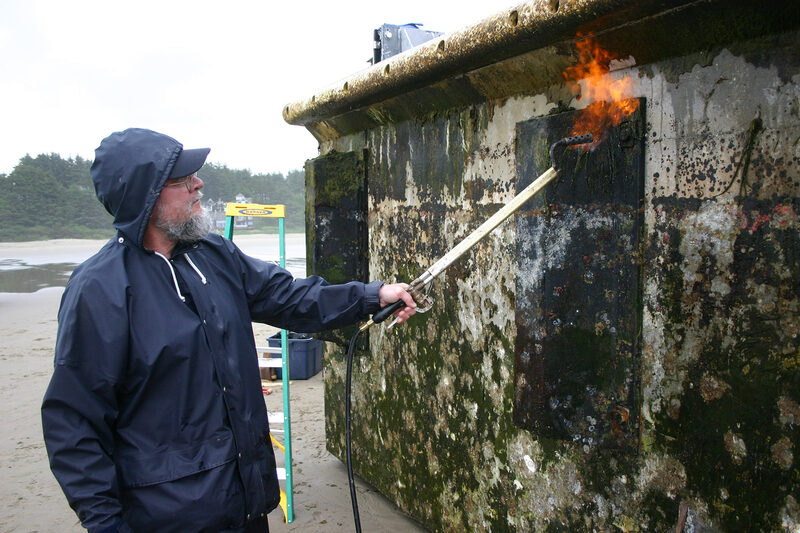 They also used torches to lightly burn the outside of the dock to try to get rid of invasive algae and other microorganisms. The Oregon Parks and Recreation Department is looking into either demolishing the dock or towing it to the Port of Newport. Did they get them all? Hopefully, but the scientists are not sure because some species may have already dropped off or released their larva or spores into the environment. Are there more to come? Unfortunately, yes. Scientists are predicting that many more tsunami debris will wash up on our West Coast for years to come, and some, but not all of the debris, will carry invasive species. Any newly arrived invasive species may find our environment or native wildlife inhospitable, but without their native predators or environmental stresses, these newly arrived species may be able to establish a beachhead on our shores to quickly multiply and overrun our native species. The best way to defend our environment and economy against invasive species is with their early detection and a rapid response to controlling or eradicating them, something that thankfully, our scientists on the West Coast are doing.